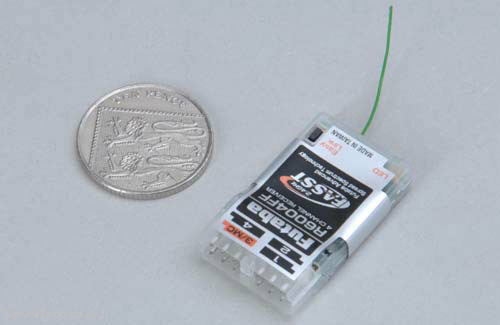 Receivers don’t get much smaller and lighter than the new R6004FF micro receiver. Its size and weight make it perfect for almost any indoor model that requires 4 channels or fewer. In addition, R6004FF design puts standard connectors on the end of the case, which makes it easier to mount in tight areas. 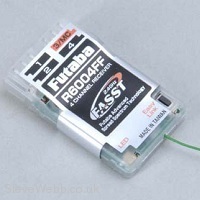 The R6004FF can be linked to the transmitter in seconds simply by pushing the Easy Link™ button. It’s just one of the features that help 2.4GHz FASST™ (Futaba Advanced Spread Spectrum Technology) systems provide the most secure and dependable RF link in R/C.